If you want to raise worldwide awareness about the environment through your design, you should probably do so in an environmentally friendly way, right? And if you want to save the Earth, you might as well put it on display. 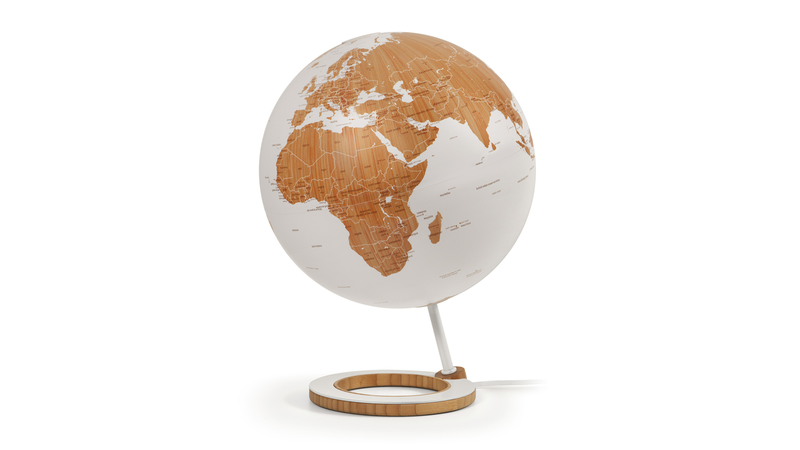 This globe designed by Fabio Lucian for Danish designer Kristoffer Zeuthen is made entirely out of bamboo. Even the base it sits on is made of bamboo, and the white steel rod holding up is at an angle to reflect the Earth's natural tilt. The typeface is simple, the surface is smooth and the whole thing is beautiful.